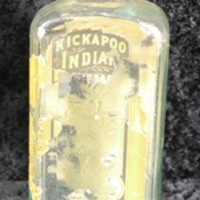 This patent medicine was produced by the trio of "Doc" Healy, "Texas Charlie" Bigelow, and "Nevada Ned" Oliver, who originated the Kickapoo Medicine Company in 1881. 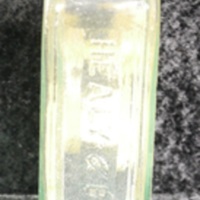 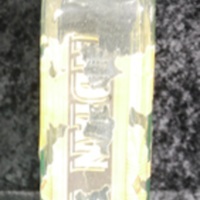 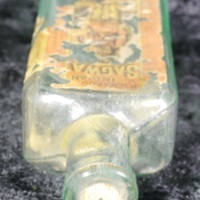 This bottle is embossed "BIGELOW & HEALY" on one of its narrow sides. 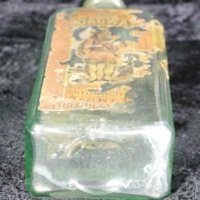 Like many other medicine peddlers, they featured Native Americans in their products to promote the notion of "natural" medicine. 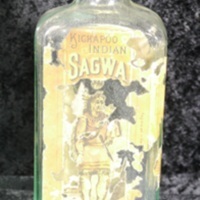 Kickapoo Medicine Company, “Kickapoo Indian Sagwa bottle,” The Skeptiseum, accessed April 19, 2019, http://skeptiseum.org/items/show/140.